Celebrated as the foremost medical illustrator of the human body and how it works, Dr. Frank H. Netter's career as a medical illustrator began in the 1930's when the CIBA Pharmaceutical Company commissioned him to prepare illustrations of the major organs and their pathology. Dr. Netter's incredibly detailed, lifelike renderings were so well received by the medical community that CIBA published them in a book. This first successful publication in 1948 was followed by the series of volumes that now carry the Netter name - The Netter Collection of Medical Illustrations. 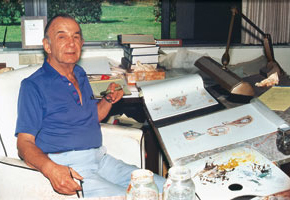 Even 12 years after his death, Dr. Netter is still acknowledged as the foremost master of medical illustration. His anatomical drawings are the benchmark by which all other medical art is measured and judged. "As far back as I can remember, ever since I was little tot, I studied art," said Frank Netter during an interview in 1986. At the time he was hailed by The New York Times as "The Medical Michelangelo." "All I wanted to do was to make pictures," he reflected. 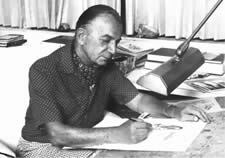 Born in New York in 1906, Dr. Netter had already established himself as a successful commercial artist in the 1920's when, at the advise of his parents, he changed careers. "I gave up art at the urging of my family," he said. "They felt that artists led a very dissolute life, which of course was really not true." 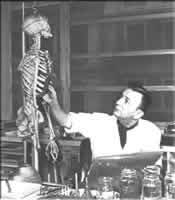 In order to find a more "dependable" career, Frank Netter entered New York University Medical School. But even as he pursued his training as a surgeon, Netter found that it was easier for him to take notes in pictures than in words. "Mine was a graphic viewpoint. My notebooks were crammed with illustrations. It was the only way I could remember things." Soon faculty members recognized his artistic talents, and Netter began to pay for part of his medical education by illustrating lectures and textbooks. Starting out as a young physician during the Depression, Dr. Netter found that there was more interest in his medical artwork than his surgical capabilities. "I thought I could do drawings until I had my practice on its feet," he recalled, "but the demand for my pictures grew much faster than the demand for my surgery. As a result, I gave up my practice entirely." In 1938, Dr. Netter was hired by the CIBA Pharmaceutical Company to work on a promotional flyer for a heart medication. He designed a folder cut in the shape of and elaborately depicting a heart, which was sent to physicians. Surprisingly, many of the doctors wrote back asking for more heart flyers - without the advertising copy. Netter went on to design similar product advertisements depicting other organs, and all were extremely well received. 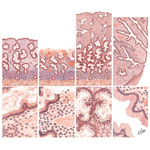 When that project was concluded, Netter was commissioned to prepare small folders of pathology plates later collected into the first CIBA Collection of Medical Illustrations . Following the success of these endeavors, Netter was asked to illustrate a series of atlases that became his life's work. They are a group of volumes individually devoted to each organ system, which cover human anatomy, embryology, physiology, pathology, and pertinent clinical features of the diseases arising in each system. 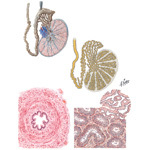 Dr. Netter has completed volumes on the nervous system, reproductive system, the lower and upper digestive tracts, the liver, biliary tract and pancreas, endocrine system, kidney, ureters, urinary bladder, respiratory system, and musculoskeletal system. Dr. Netter's beautifully rendered volumes are now to be found in every medical school library in the country as well as in many doctors' offices around the world, and his work has helped to educate and enlighten generations of doctors. 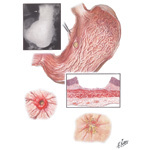 In 1988, The New York Times called Netter " an artist who has probably contributed more to medical education than most of the world's anatomy professor's taken together." Dr. Netter's career has spanned the most revolutionary half-century in medicine's history. He chronicled the emergence of open-heart surgery, organ transplants, and joint replacements. In order to learn first-hand about a variety of diseases and their effects on the body, Netter traveled widely. In the early 1980's Dr. William Devries asked Netter to be present at the first artificial heart transplant, a procedure that Netter illustrated in full detail. Dr. Netter also developed a variety of unusual medical art projects including building the seven-foot "transparent woman" for the San Francisco Golden Gate Exposition, Which depicted the menstrual process, the development and birth of a baby and the physical and sexual development of a woman. When asked whether he regretted giving up his surgical practice, Dr. Netter replied that he thought of himself as a clinician with a specialty that encompasses the whole of medicine. "My field covers everything. I must be a specialist in every specialty; I must be able to talk with all physicians on their own terms. I probably do more studying than anyone else in the world" he said. In his work, Dr. Netter made pencil sketches, which he then copied, transferred, and painted to portray gross anatomy, microscopic anatomy, x-ray images, and drawings of patients. "I try to depict living patients whenever possible," Netter said. "After all, physicians do see patients, and we must remember we are treating whole human beings." 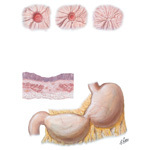 Into his eighth decade, Dr. Netter continued to create his medical illustrations and added to the portfolio of thousands of drawings that encompass his long and illustrious career. Dr. Netter died in 1991 but his work lives on in books and electronic products that continue to educate millions of healthcare professionals worldwide.